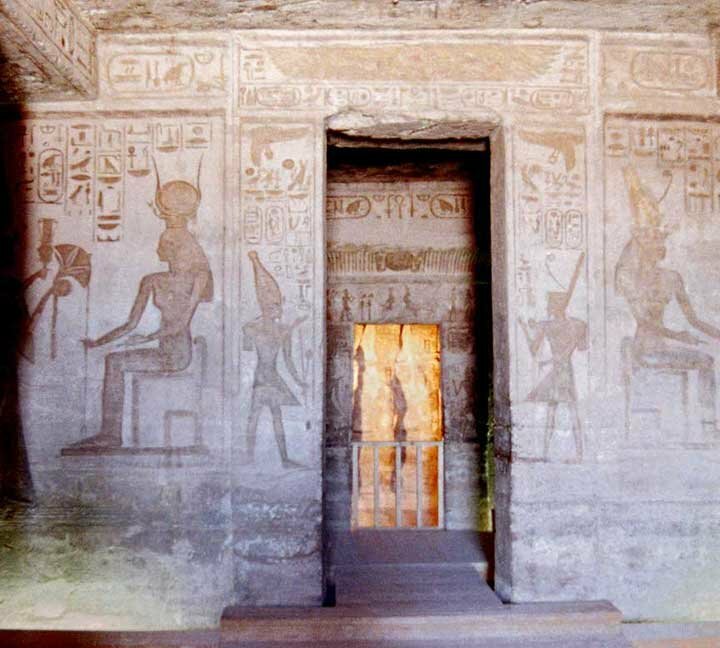 Abu Simbel . . . .. . . . 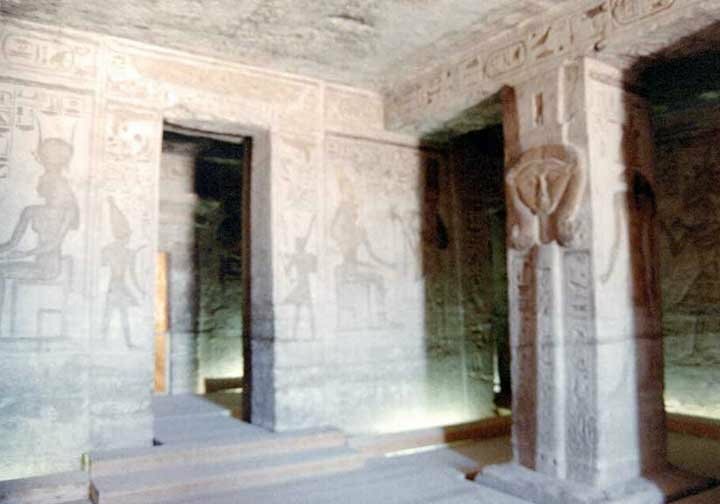 The inside of this temple is decorated in a similar style to the larger temple of Ramesses. It is a very mutted orchre pallete, no bright colors here.